Andrew J. Friedland is The Richard and Jane Pearl Professor in Environmental Studies and Chair of the Environmental Studies Program at Dartmouth. He was the founding chair of the Advanced Placement Test Development Committee (College Board) for Environmental Science. He has a strong interest in high school science education and in the early years of APES he participated in a number of trainer and teacher workshops at Kimball Union Academy, Dartmouth College, and elsewhere. During many of the last ten summers, he has guest lectured at the St. Johnsbury Academy (Vermont) AP Institute for Secondary Teachers. Friedland regularly teaches introductory environmental science and energy courses and has taught courses in forest biogeochemistry, global change, and soil science, as well as foreign study courses in Kenya. For more than two decades, Friedland has been researching the effects of air pollution (lead, nitrogen, sulfur, calcium) on high-elevation forests of New England and the Northeast. More recently, he has begun investigating the impact of individual choices and personal action on energy consumption and the environment. Friedland has served on panels for the NSF and USDA Forest Service and has just finished serving on his third panel of the Science Advisory Board of the EPA. He has authored or coauthored more than fifty-five peer-reviewed publications and one book, Writing Successful Science Proposals (Yale University Press). 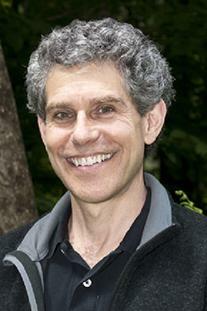 Friedland received BAs in Biology and Environmental Studies and a PhD in Geology from the University of Pennsylvania. He is passionate about saving energy and can be seen wandering the halls of the Environmental Studies Program at Dartmouth with a Kill-A-Watt meter, determining the electricity load of vending machines, data projectors, and computers.